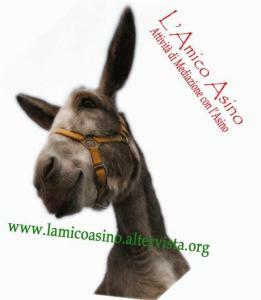 Courses in donkey training, carriage driving, behaviour, health care and natural therapies. The Donkey Sanctuary Training Centre UK-wide. Donkey care, health care, behaviour and clicker training. Regular training sessions run in Devon, Buckinghamshire, Carmarthenshire, Derbyshire, East Sussex, Essex, Scotland, South Wales, Suffolk and Warwickshire. Occasional courses run in Birmingham, Leeds, Manchester and Northern Ireland. Donkey Driving Enterprises Manchester. Founded by Debbie Street, five-time Supreme Donkey Driving Champion, Donkey Driving Enterprises take donkeys for carriage driving training and offer driven dressage, obstacle training, shared or private driving courses and taster carriage driving lessons for children and adults. Tandem, pair and team training offered. Donkey Training and Donkey Driving Donkey Handling, Hand Showing, Long Reining, Chain Harrowing and Donkey Driving. UK-wide (except for Chain Harrowing which is in Hampshire only). Animal Healing Courses and workshops in Sussex run by Elizabeth Whiter, qualified animal therapist and author of The Animal Healer and You Can Heal Your Pet. Clovelly Donkeys Torridge, Devon. Basic donkey keeping, stablework, grooming, tack, donkey behaviour, handling, feeding, fields, veterinary topics, work. Just 4 Donkeys Salisbury, Wiltshire. Longreining, driving, confidence boosting, preparing your donkey for the vet and farrier, showing, riding, driving, trailor loading, walking, training demonstrations, public appearances and dealing with behavioural issues. Trudy Affleck originally trained as a physiotherapist and has worked in spinal injury units in the UK and New Zealand. She is now qualified as a P2 Tellington TTouch Awareness Method practitioner with a special interest in donkeys and mules. Tailored one-to-one or group training. Kinedale Donkeys / Carriages Ballynahinch, County Down. Train your donkey to walk, ride or drive. Ânes Sans Frontières Across France & Belgium. Technique issue de la Médecine Traditionnelle Chinoise, développée et reconnue au Japon en tant que Médecine à part entière depuis 1955. En France, la pratique du Shiatsu commence à être reconnue par des instances paramédicales. Les Ânes de Gerval La Hallotière. L’attelage, c’est savoir mener un âne dans différentes conditions, le garnir d’un harnais bien adapté, et l’atteler à une voiture de circonstance, pour des promenades agréables et en toute sécurité. On peut pratiquer l’attelage à plusieurs, en famille ou entre amis. L’Âne-fun est une activité qui permet aux jeunes cavaliers, dès le niveau débutant, d’acquérir et de consolider les gestes techniques de base en équitation, tout en s’amusant. Plaisir, convivialité et apprentissage sont les principales qualités de l’Âne -fun. Cette activité est accessible à tous les enfants dès l’âge de 4 ans. L’Ânerie Bacotte Bois-le-Roi. Traction animale: Marîchage, Débardage, Travail dans la vigne et Attelage. Les Ânes d’Oléron Chéray, Charente-Maritime. Les Stages d’Initiation: Découvrir l’espèce asine dans sa globalité: sa biologie, son comportement, ses besoins, les soins à lui prodiguer. L’approche au pré à la pratique de la randonnée bâtée en passant par le pansage complet et la mise en avant à la longe. Introductory courses for new or prospective donkey owners: Donkey biology, behaviour and care, pasture management, grooming, harnessing and hiking. L’Ânerie, Centre de Formation Cahors. Anatomie et physiologie, entretien, soins, parasites, alimentation et nourriture, l’achat, ethologie, théorie sur la rando et principes de base pour mettre un âne à l’attelage. Agath’ânes Ganac, Ariège. Aide au bien- être de votre âne apprentissage des connaissances de base éducation de l’ânon formation en groupe ou individuelle. L’Amico Asino Udine, Friuli-Venezia Giulia. Seminars and workshops covering behaviour, open field management, routine vetinary checks and assisted activies, run by Dr. Erica Molinaro Franzil, specializing in school learning disorders, school and work orientation and interventions assisted with animals. Fattoria Didattica La Serra Ceppaiano, Crespina, Pisa. Pet Therapy, Coadjutor donkey in Assisted Interventions to Animals aimed at all those who are interested in working in operations and therapy assisted by animals. The Pet Therapy course allows you to combine a passion for the animal world with employment opportunities in assistance, rehabilitation and co-therapy. Il corso Operatore Pet Therapy, Coadiutore dell’asino negli Interventi Assistiti da Animali è rivolto a tutti coloro a cui interessa lavorare nell’ambito delle attività e terapie assistite dagli animali, il corso Pet Therapy è una grande opportunità in quanto permette di sposare la passione per il mondo animale con l’opportunità di occupazione nei settori dell’assistenza, riabilitazione e co-terapia. Ranch Margherita Meleto, Arrezo. Carriage training, longreigning and walking with your donkey. Ânes et Co Lacs de l’Eau d’Heure, Walcourt. Les stages d’ânier général se déroulent 4 fois par an, un à chaque saison. Nous en organisons au mois de février, mai, aout et novembre. Ces stages sont ouverts à ceux qui ont déjà un âne, à ceux passionnés ou intéréssés par les ânes ou encore qui prudents comme l’âne, réflechissent avant de se lancer. Nous abordons des sujets essentiels, comme la nourriture, le comportement, les maladies, les prérequis pour avoir un âne chez soi et bien plus, ainsi que pleins de choses pratiques pour faire de votre ami aux longues oreilles un merveilleux compagnon. Mi-La-Mi”ânes Educational projects and activities for children, song-walks, storytelling, games, confidence building, motor skills, learning about donkeys and equipement, training courses, help for new donkey owners and walking with donkeys. Special events such as birthdays also catered for. Noteselhilfe Saxony, Bavaria and Brandenburg. Information on the history and nature of donkeys and mules, housing, care, feeding, health, poisonous plants, the Animal Protection Act and practical training including stable and field hygiene, animal care (grooming, hoof care), halters, Auftrensen, saddles, driving and loading. Supervised donkey afternoons, children’s birthdays, donkey walks, the first steps on the donkey or horse, carriage rides with donkeys or horses, seminars for donkey holders but also exclusive – the donkey-driver’s license. The competence center for the course being the Swiss syndicate donkey friends (SIGEF). Lucky Three Ranch Fort Collins. Meredith Hodges is a judge, Animal Inspector and Representative of the American Donkey & Mule Society. M&MS Farms, Williamston M&MS Farms offer courses in basic horsemanship, saddling up, harnessing, hitching, horseback riding, cart driving, obstacle riding and driving. Teaching your horse or donkey haltering, leading, standing and other ground manners. Also evaluations and consultations for intermediate and advanced riders and drivers and lessons in how to prepare your horse or donkey for health checks and trailer loading. Donkey Whisperer Farm Sequim. Donkey e-training video series, including soft yacht rope halter/lead lines, tack and healthcare.